There is, however, one major difference between then and now. In biblical times, the sins cast onto the scapegoat only went as far as the animal made it in the desert before dying. 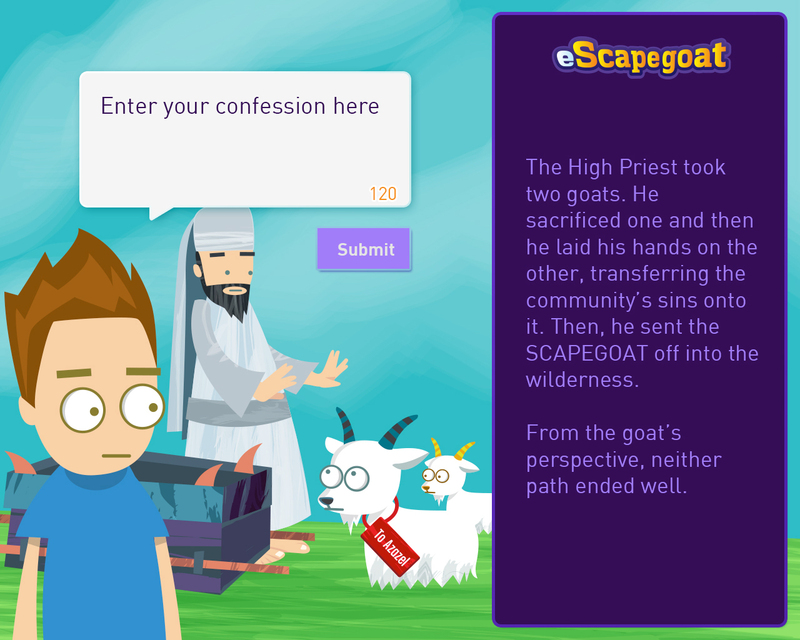 With this cyberspace-dwelling cartoon goat, our sins could live on forever, having been broadcast out to the world through eScapegoat’s (lightly moderated)@SinfulGoat Twitter feed. @ 2013 Renee Ghert-Zand. All rights reserved.